Former PIMCO strategist, portfolio manager, and Chief Economist Paul McCulley warned about the credit bubble years before it burst. 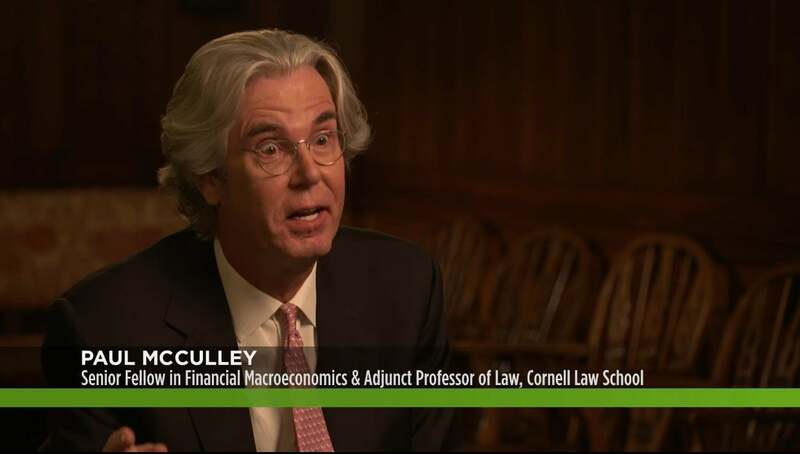 This week on wealth track a rare interview with prescient financial thought leader Paul McColley who warned of the forces leading to the Great Recession. What does he see building in the economy today. They have government granted monopoly power over the creation of money from thin air. If I wanted to do it or you wanted to do it or anybody else wanted to do it, It's called counterfeiting and has a crime. Where it is the Fed's job. They're the only people who have the right to do it. That makes you powerful. If you have monopoly power over the creation of money. Look for it this week on your local public television station and on WealthTrack.com.